Well, I'm finally on vacations and I need to produce some art, so I decided to create some warm-up drawings. This is the first one I did - H. P. Lovecraft. He's sort of a polarizing figure for me, because although many of his cultural ideas are very negative and something I don't agree with at all, his legacy is amazing. 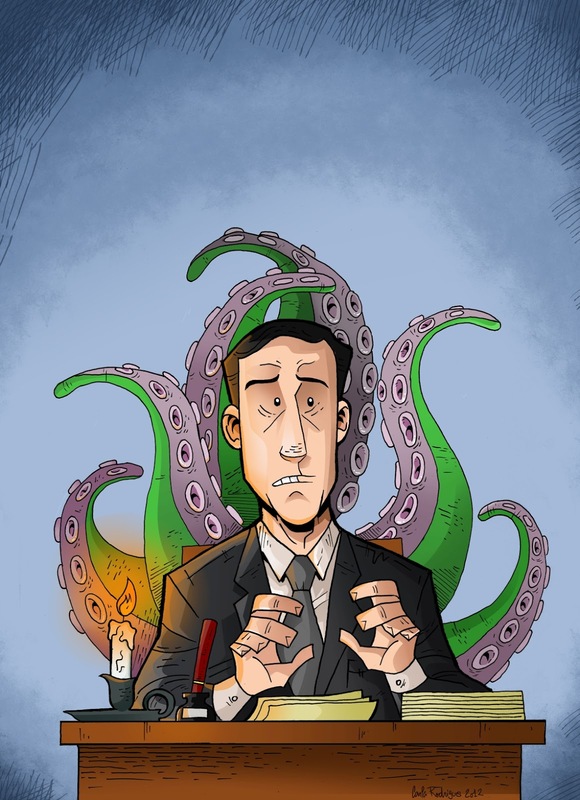 He's one of the most influential horror writers of all time, and he created one of the most intriguing and layered mythos of horror literature, the Cthulhu Mythos. Some of his stories are among my favorite horror works, so I decided to draw him. I used some brushes created by Anjin Anhut. Hope you like it!